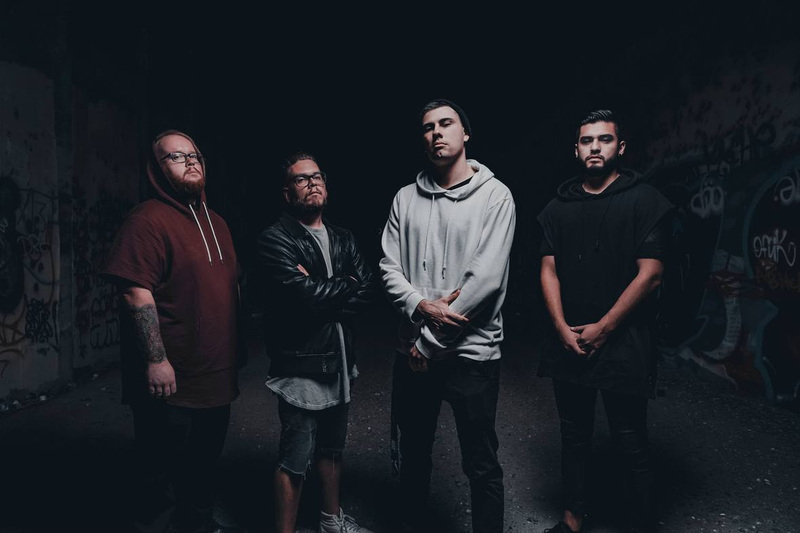 ILLUSIVE - Release Minimalisitc Metalcore Music Video for "Divide"
LA-based metalcore quartet Illusive have released a music video for their new single "Divide." The video is brimming with emotion, opting for a minimalistic black and white approach, letting the explosive song speak for itself. "We had shot multiple complex music videos before 'Divide,' but no one was able to take our vision and do it any justice, so we chose to go with the most simplistic video treatment we could think of instead," says vocalist Chad Michael. Illusive take the metalcore genre and give it a fresh, modern look with "Divide." It's a heavy track that's high on emotion, filling a dark, empty room with stacks of big riffs and dramatic vocals. "Divide" follow's up the Illusive's first single "Die" released last October. The band plans to release their debut EP Disillusion later this year. "Divide" is available now on Spotify.